I’ve been a long standing subscriber to Birchbox, ranking up over two years worth of boxes. 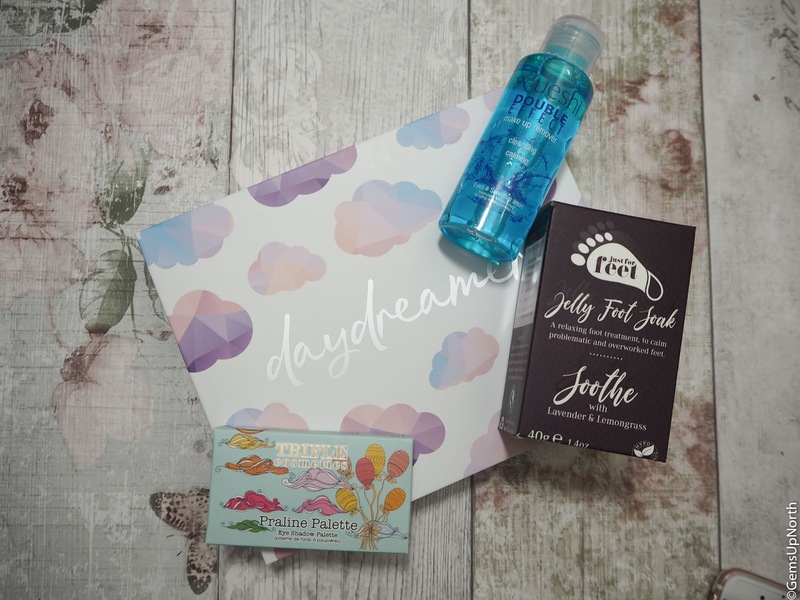 I used to get Glossybox along side my Birchbox but I cancelled that earlier in the year however I resubscribed to Glossy last month and was impressed with the contents, you can read my review here. This month I’ve decided to do a stand off post with both boxes featured and compare the contents, box design, price and pick a winner for the month. Normally I would do two separate posts reviewing each item specifically but I wanted to mix up my beauty box posts a little; you'll have to let me know what you think. Glossybox actually arrived first with Birchbox arriving the next day. Glossy is always dispatched with Royal Mail and you can track your box along the way; they are good at keeping you up to date regarding your box delivery. My Birchbox is also delivered with Royal Mail however this is because I’ve had trouble with Hermes who usually deliver Birchbox; the only downfall with being delivered with Royal Mail is I can’t track my box from the Birchbox dispatch email but this is still better than dealing with Hermes in my opinion. Both boxes come in postal boxes so the pretty boxes are always safe and sound when they arrive. How many products were included? Birchbox usually have around 5 products inside which it did this month and Glossybox also had 5 products inside plus an extra treat in the form of a tea bag from We Are Tea. Both boxes had a mix of products from makeup to skin care to hair care. I do like to receive a mix of products but always prefer to get makeup products as I get more use from them most of the time. There was a lip gloss from Doucce and an Eyeko Skinny liner in my Birchbox whilst Glossy had a Trifle Cosmetics Praline Palette inside so both boxes did have makeup products included; this is a thumbs up from me. Yes in my Glossybox, 3 products were full size whilst 2 were travel sized; the travel sized products were decent sizes and I've had a few uses from them too. The travel sized products was a shampoo and conditioner from Maria Nila which is handy for this time of year when people are going away or in my case going camping. As for Birchbox, none of the products were full size, the Eyeko Liner was a good sized travel product and some of the other brands in the box are a little more high end than those in Glossy so it sort of evens out the contents size. Not having full sized products in my boxes isn't an issue as long as I like the quality and style of the products. Both boxes featured beautiful designs this month so it’s been hard to choose a favourite. 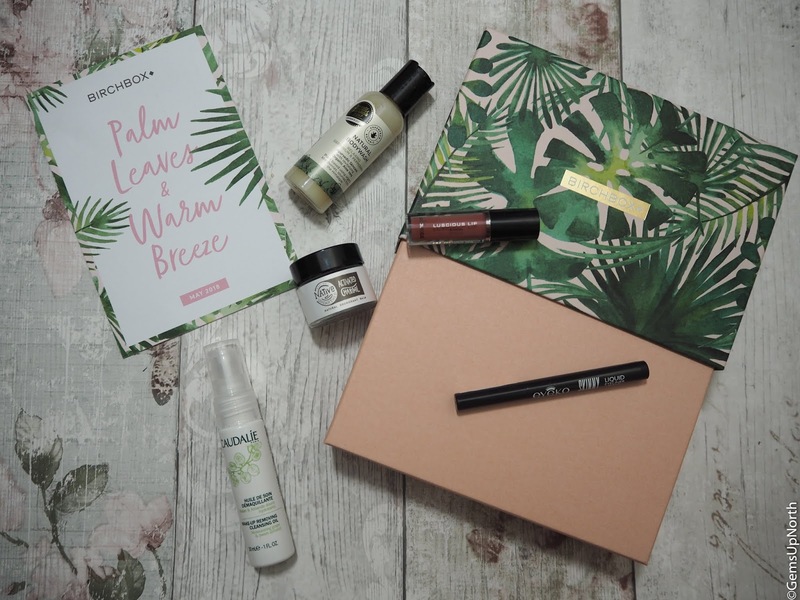 Birchbox went with a leafy, summer, chilled out design which was again great for the coming summer. Glossy’s design was very summery, bright and a welcomed change from the usual pretty in pink box; Glossy don’t do specially designed boxes every month so it’s nice to receive one of there one off designs. However the design of the actual box is what comes into play here, Birchbox have been sending a drawer style box for ages now and I’m so happy about it, I pile each box up and create makeup drawer storage using the boxes and these look great on my dressing table. I will re-use the Glossybox however the pink boxes usually now go in the recycling. Each box is priced at £10.00 per month and then postage and packaging is added on top of this; for Birchbox is it £2.95 and for Glossybox it is £3.25 so making Glossy ever so slightly more expensive. 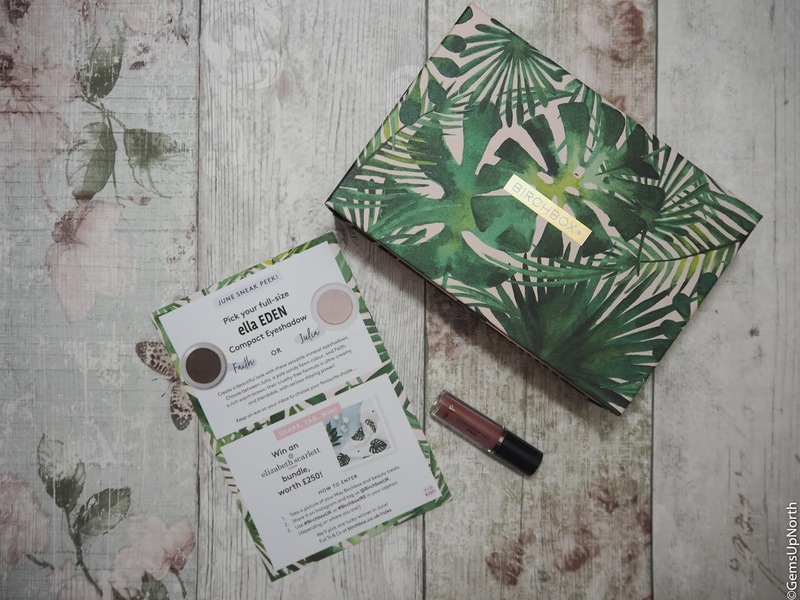 Both subscriptions have perks though... with Glossy to can earn credit to spend on Glossybox website and Look Fantastic; you can earn credit by filling out your product surveys. Birchbox also has a rewards system, from the first month of your sub you can get 10% off all contents in the Birchbox shop, this goes up to 15% after 6 months when you become a Birchbox VIP. 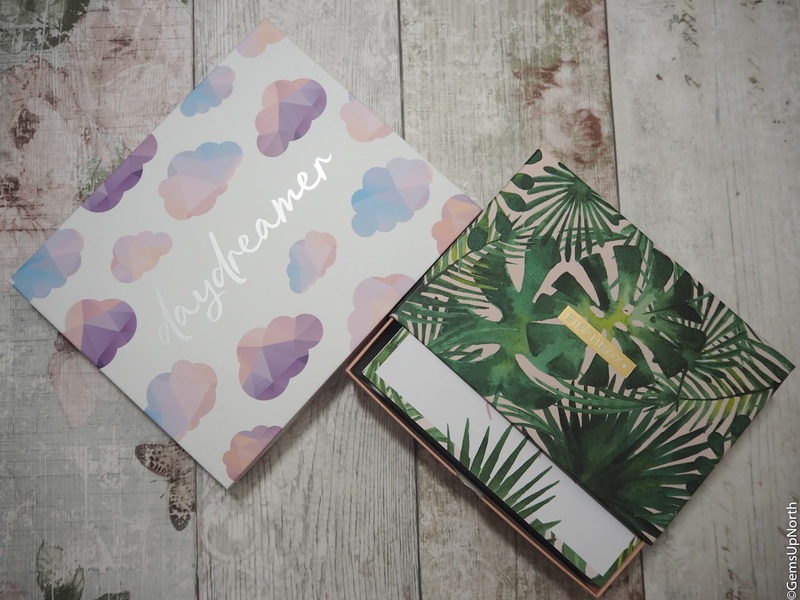 Each month with Birchbox you can choose an aspect of your box and if your a VIP you get to choose early; this ranges from box design to products to product shades. With both subscriptions you also get rewarded for referring someone to sign up. This month I was able to choose a shade of lip gloss, I really like being able to choose shades as I always get the colour I want. I've picked a few favourites this month, one from Glossybox and two from Birchbox, I've been a long-standing fan of Eyeko so receiving an extra skinny liner this month was great plus I'll always use a black eyeliner. I also really liked the Charcoal natural deodorant from Native Unearthed that was also in my Birchbox, I've become partial to natural deodorants so trying a new brand has been fun this month. The Trifle Cosmetics palette in Glossy has 6 lovely shades of eyeshadow that all work well together weather your using 2 shades or 4, you can create some pretty eye looks with this small but mighty palette plus the design on the packaging is super cute and colourful. 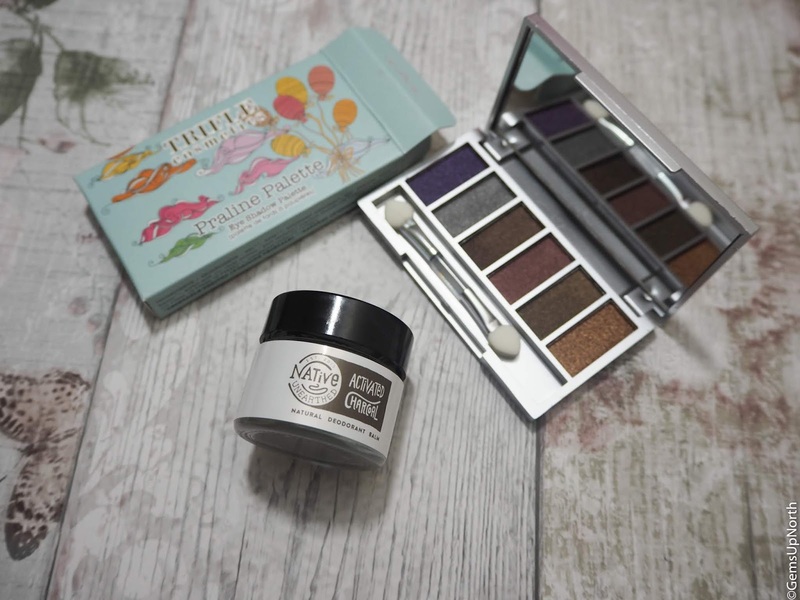 Trifle Cosmetics are cruelty free and this palette is 100% Vegan and free from any nasties. Unfortunately I have cancelled one of the boxes and that is Glossybox, I just found this months box to not be tailored to my likes which is the reason I cancelled last time. I didn’t enjoy the products in Glossy as much as Birchbox this month even though Glossy had full sized items included. I may sign up again in the future if a box takes my fancy like last months did but for now I'll stick with my Birchbox! Overall I think Birchbox won this month and continues to be my longest standing subscription to any beauty box. I enjoy receiving my Birchbox, the perks the subscription has and the products included are usually suited to my profile so much better than other boxes. Plus as I’ve said above I’ve got the added extra of drawer box storage by reusing my boxes. Which box was your favourite this month? 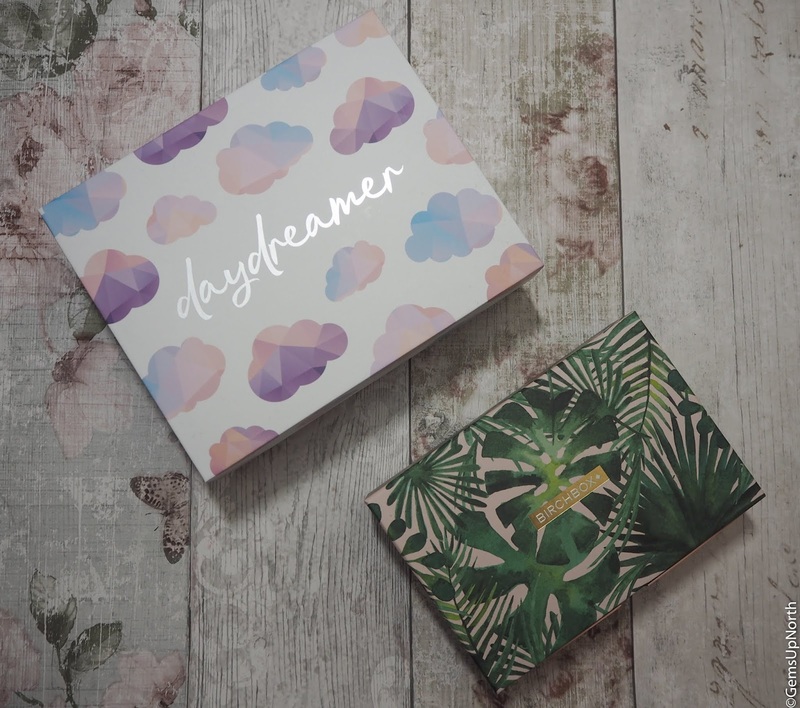 Today is the last day to grab this months boxes, if you want to subscribe you can use my referral link for Birchbox here, this will give you £5.00 off your first box and if you want to sub to Glossybox then head straight over to the website here.